With Childish Gambino and Drake releasing their new albums today, I thought it would be fun to make a playlist composed of actor-rappers. Interestingly enough, both of these artists began their careers as fairly well-known actors: Gambino currently acts on NBC’s Community, writes for 30 Rock, and more, while Aubrey Drake Graham famously got his start as a child actor on Degrassi. The following playlist contains some rapper-turned-actors such as Mark Wahlberg and Will Smith as well as other actor-turned-rappers like Method Man. You can listen to the full MiaoMix below. Some popular movies or TV shows that the rappers acted in are in brackets. Also, if you enjoyed Method Man’s “World Gone Sour (Lost Kids)”, you should check out the music video after the break. Despite being a largely consistent critical hit across the fifteen years in his solo career, former Wu-Tang Clan member Ghostface Killah has never been able to tap into the commercial success of his former group. His last album, Ghostdini was panned for straying from what he did best, and some feared that he was beginning to lose his touch. His ninth album, Apollo Kids, proves that this was only a misstep and not an indication of future trends. Ghostface employs his traditional alchemy by combining ’70’s samples, innumerable guest stars, and stories of growing up on the streets of Staten Island, yielding gold in track after track. One of the better samples comes immediately, with Ghostface asking on “Purified Thoughts”, “Am I a good man?” A reverent reflection on how far he has come, the theme of divinity is appropriate for his status in the rap world. This segues nicely into the acceptance of his rise in “Superstar,” boasting some of the strongest music on the album. Not content to bask in the good life, though, Ghostface is quick to pay respect to his roots, and a good half of the album focuses on different facets of this theme. The gritty “Black Tequila” draws comparisons between New York gangs and Italian mobsters. 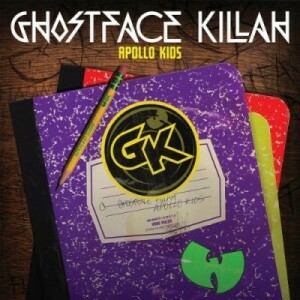 “In Tha Park” traces Ghostface’s origins, paying homage to his musical and social influences. The album’s best track, “Ghetto” hits all of the right notes. The sample (Marlena Shaw‘s “Woman of the Ghetto”) is touching enough on its own, but to hear the Ghostface and his guests’ responses to such questions as “How do you raise your kids in the ghetto?,” driven by an appropriately soft beat, propels the song to a new level. The album’s tracks focusing on relationships, or lack thereof, are less effective. The sample on single “2getha Baby” breaks the pace of the song (and through a bold looping decision, even breaks its own pace), but it just isn’t impactful enough to warrant such a break. “Handcuffin’ Them Hoes” is a standard “love ’em then leave ’em” rap that delves into crassness that Ghostface should be above by this point in his career. Guest artist Jim Jones‘ voice fits the beat and lyrics, but that isn’t necessarily a good thing. Jones aside, many of the guests on Kids pack a punch. Busta Rhymes intricately weaves his way through an exciting verse on the already energetic “Superstar.” Black Thought infuses his rhymes with real passion on “In Tha Park”, aptly concluding his story with “That’s the reason for my real rap penmanship. / That’s where I started it and that’s where I’mma finish it.” Fellow Wu-Tang members Raekwon, U-God, and Method Man bring the album to a strong finish. If the other guests fall short, it’s more often because of what they’re stacked up against rather than their own deficiencies. 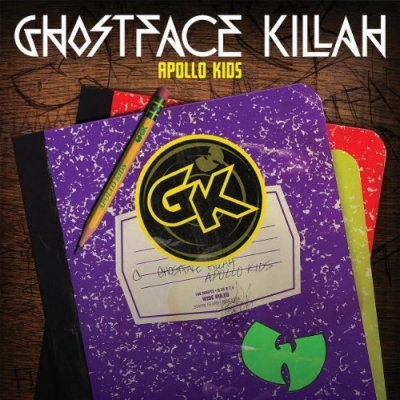 Even though Kanye West shook up the rap world only a few weeks before the release of Apollo Kids, Ghostface shouldn’t be overlooked. In contrast to West’s bombastic, radio-friendly songs, Ghostface’s gangster rap is more down to earth, focusing on the content instead of catchy choruses (half of his songs don’t have one to begin with). It won’t make him a commercial success, but it demonstrates his continued relevance in the rap world.